Poppyprint: Doll Quilt(s) - a safe arrival! 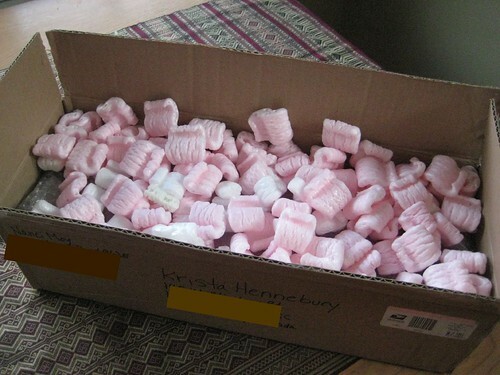 Doll Quilt(s) - a safe arrival! That's definitely my name on both labels. 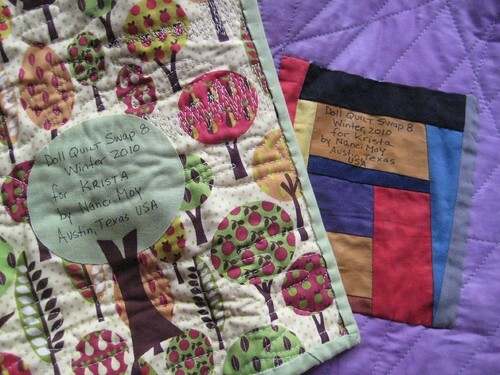 Did this person I've never met, who lives way far away in Texas, actually make two totally-different-yet-absolutely-perfect-for-me-quilts for me? YES, she did!!!! Thank you so much Nanci! I love both of the quilts so much. You did an amazing job and I couldn't have asked for a better partner for my first ever Doll Quilt Swap. I may have to arm-wrestle my daughter for the seasons quilt. She let out a squeal to rival my own when she arrived home from school to see it. As mentioned in my last blog entry, this is my 75th post! I am planning a little giveaway for my followers and subscribers, however I can't figure out how to see who my subscribers in Google Reader are...I've sent an S.O.S to the help people to see if it is possible...if any Blogger users out there know how to do this, please share! 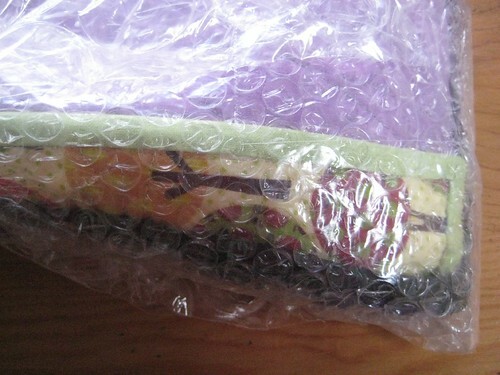 Something came up that prevented me from making my intended giveaway giftie, but I know you understand and trust that it is coming very soon. Stay tuned! I think you hit the jackpot!! Wow! Both those quilts are amazing. So adorable!! No wonder your daughter screamed in delight!! So sweet! 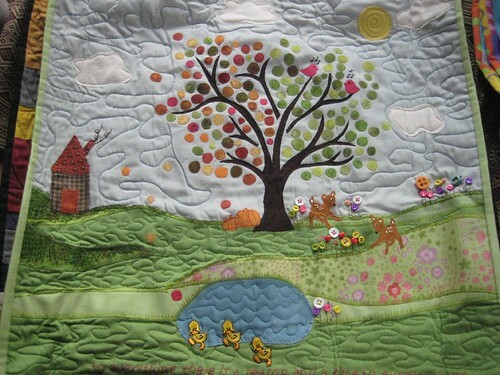 Love these adorable little quilts!! Lucky you! No wonder your daughter screamed with delight!! You have been lucky with your swap partner indeed, they are perfect! Were they among the Flickr pictures you have been looking (and drooling) at? Those quilts are beautiful. 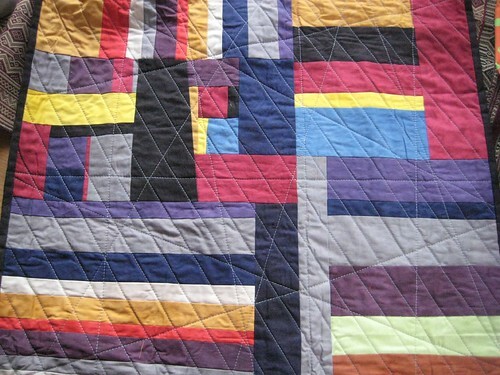 Love the quilting on them! Pincushion too! Great exchange. You are a lucky, lucky lady. Her generosity is amazing and she has talent to match! 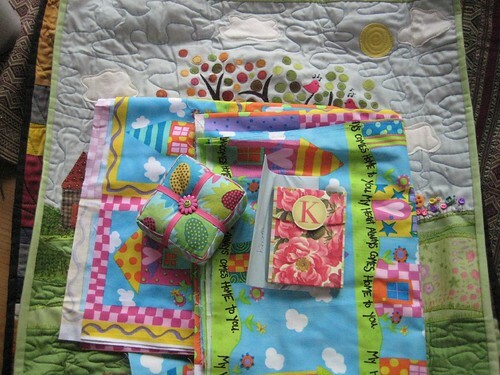 What fabulous quilts you received! And goodies to boot? How cool! Shoot! That is an amazing gift box! I've never heard of such a thing, and fabric to boot. you are one lucky lady. btw. I subscribe on google reader.